Your child will soon become a toddler, teenager, adult and so on.. Moments are priceless, capture them now! Home Blog Your child will soon become a toddler, teenager, adult and so on.. Moments are priceless, capture them now! You capture those priceless moments of loved ones and make it a memory. Those small moments are remembered life long. Just click those real emotions behind memory. A remarkable experience when you share it with your kids and family. Yes!! Soon your child will become toddler to teenager to adult and you will miss those old funny and sad moments you spend with your child. A picture is a precious gift of time. Which makes you feel young and happy at the same time. And MN Photography treasures your precious memories, as pictures speak a thousand words. Every picture carries some story and cherish those sweet moments with the candid click of MN photography. Cameras not only capture the image displayed in their range but they also capture emotions attached to it. And when the shutter went off…that sound captured and treasured inseparable emotions in a click. But fortunately, there were cameras back in the early ’90s, so every second of joy & festivity was recorded. And now I look back and cherish old memories of messy me!! With a change in technology, generation by generation we could see a lot of modification in memory storage and photographs. Nowadays we all take a good picture, as everyone is obsessed with point and shoot digital cameras. And it takes seconds to upload it on the computer. But the point is though we all are amateur photographers, we need a professional one to capture those moments beautifully. Life is uncertain and filled with ups and down, precious memories, and moments which we want to relive again and again and which are inseparable from us. Whether it’s your child’s birthday, wedding anniversary, your child’s graduation or a small milestone like your baby’s gender reveal or tiny first step’s of your kids you would definitely like to make documentary or treasure all these precious moments.these moments of life makes us grateful for whatever life has offered us. 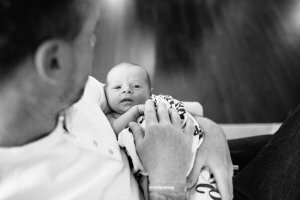 MN Photography knows how important and priceless these moments are for you and thus here we will like you to know why each and every pic and moments of your should be documented beautifully. Save your pictures and cherish memories life long through exquisite photography by extremely professional and talented photographer Mr. Mohit Nahar, owner of MN photography. According to him, pictures don’t make us, but they remind us of who we are, where we came from and how we will cherish those treasured moments. For more details please contact on or leave your queries in the comment section below. To check his creative work and outstanding photography please click on the link below.